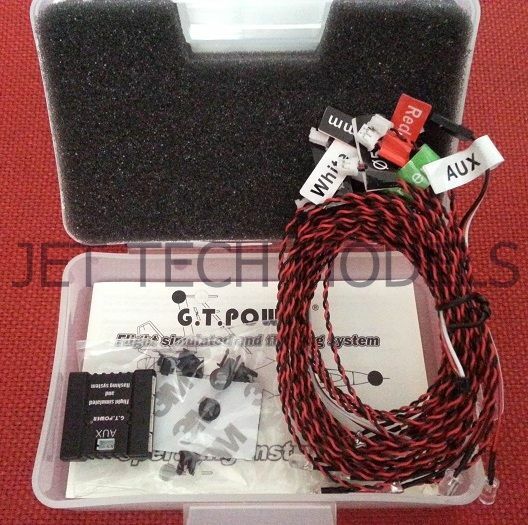 Click the button below to add the G.T Power Flight simulated and flashing system for RC Aircraft & Heli to your wish list. This RC Flight lighting system is the simulation o large passenger aircraft, helicopters and fighters public lighting group. 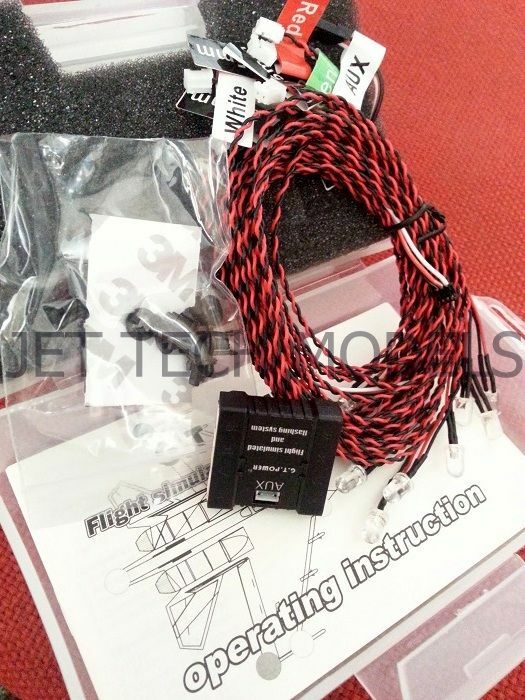 It is easy to install and operate, and welcomed by most RC flight amateurs. 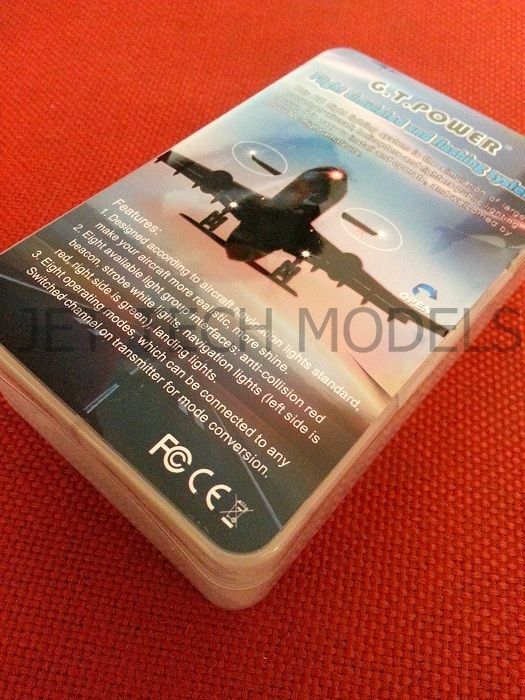 Designed according to aircraf navigation lights standard, make your aircraft more realistic , more shine. Eight available light group interfaces : anti-collision red beacon, strobe white lights, navigation lights ( left side is red, right side is green ), landing lights. Eight operating modes, which can be connected to any Switched channel on transmitter for mode conversion. Great lights, just the thing for a scale rc build.